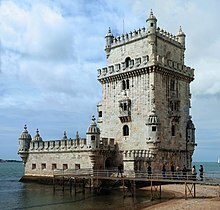 Portugal lost its independence to Spain after the succession crisis of 1580, initiating a sixty-year period of dual monarchy in Portugal and Spain under the Spanish Habsburgs. This is referred to as the "Philippine Dominion" (Domínio Filipino), since all three Spanish kings during that period were called Philip (Filipe). 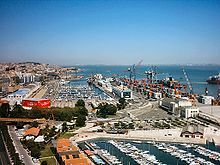 In 1589 Lisbon was the target of an incursion by the English Armada led by Francis Drake, while Queen Elizabeth supported a Portuguese pretender in Antonio, Prior of Crato, but support for Crato was lacking and the expedition was a failure. 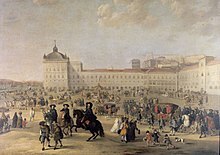 The Portuguese Restoration War, which began with a coup d'état organised by the nobility and bourgeoisie in Lisbon and executed on 1 December 1640, restored Portuguese independence. 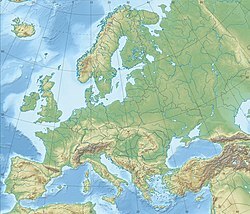 The period from 1640 to 1668 was marked by periodic skirmishes between Portugal and Spain, as well as short episodes of more serious warfare, until the Treaty of Lisbon was signed in 1668. ^ "Lisboa Public Transportation Statistics". Global Public Transit Index by Moovit. Retrieved 19 June 2017. Material was copied from this source, which is available under a Creative Commons Attribution 4.0 International License.